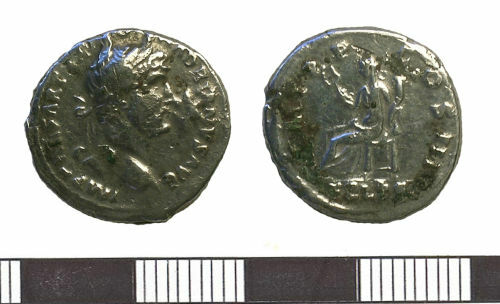 A silver coin of Roman date. Denarius of Trajan. The coin is slightly worn and bent. It measures 18.5mm diameter by 1.7mm thick and weighs 2.83g.